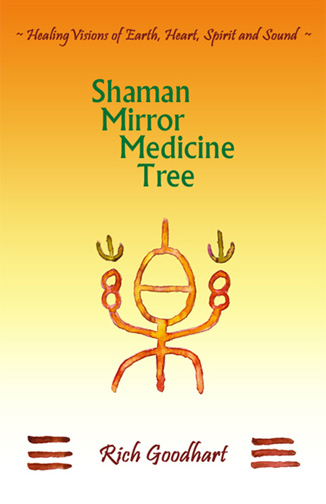 the first part of this book offers forty-two Invocations of luminosity and healing vibration. rhythm, rain and wind all permeate and dance throughout these writings. and within us. Together, they invite the awakening of spirit renewal. Invocation 4 ~ Do You Remember? "In true Bardic fashion Rich Goodhart brings tone to word, attuning us to the deep mystery's rhythms. Bridging mundane, natural and spiritual worlds, The Sound Inside the Sound invites us to bring our own breath and consciousness into vibrant harmony with all life." ~ Llyn Roberts, award winning author of Shapeshifting into Higher Consciousness and coauthor of Shamanic Reiki. "Rich Goodhart has created a modern spirituality expressed in sound, and now through word he is weaving connections to that spirituality to harmonize mind and spirit." 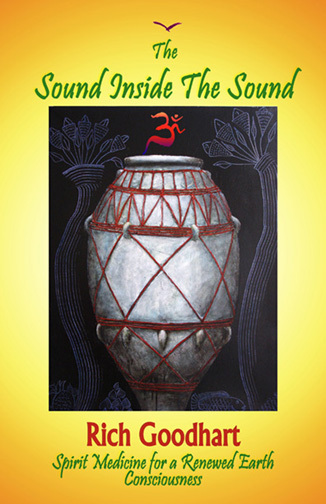 "The Sound Inside The Sound is a quick read with lasting impression. Rich Goodhart's words, like a tuning fork, attune us to the mysterious forces at play in sound reminding us to listen ever deeper and to open ourselves ever wider to the healing gifts that await not only for our own inner healing, but ultimately for the healing of our relationship to all that is." mystery and wonder of being. healing music journeys under the same name. Copyright 2000 - 2014 Rich Goodhart/Beginner's Mind Productions.